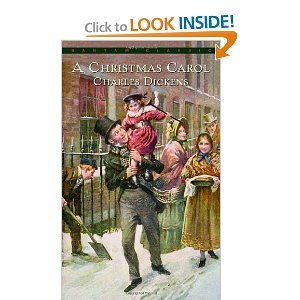 This is a free study guide for A Christmas Carol written by Charles Dickens. Scholar Michael Patrick Hearn, in The Annotated Christmas Carol (1976; New York: Norton, 2004), notes that Dickens was a Unitarian. Unitarian Christianity, in Dickens' day, focused more on morality and ethics than on traditional theology. Dickens wrote in one of his letters, "I have always striven in my writings to express the veneration for the life and lessons of our Savior . . ." (Hearn, p. 143). While silent here regarding the traditional claim of Jesus' full divinity, Dickens clearly feels passionately about Jesus' full humanity. Use this guide to find chapter summaries, analysis, and general help with understanding the novel. Please click on the literary analysis category you wish to be displayed. Back and Next buttons can guide you through all the sections or you can choose to jump from section to section using the links below or the links at the left.